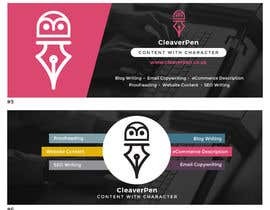 I am launching a content writing company: 'CleverPen'. 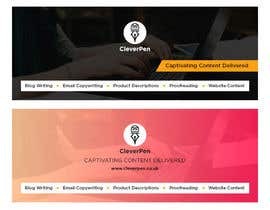 My tagline is: Captivating Content. Delivered. I have a logo already. I need YOUR HELP to design me an image that I can use as my cover page for LinkedIn, Facebook and Twitter. Just one is fine that I can replicate across all three. This needs to be more than just my logo and tagline. It needs to tell people, using imagery, what I do and how I help them. 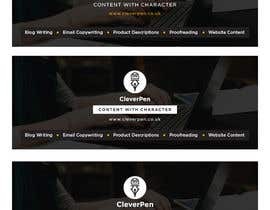 In words, I write content for people to help them get better SEO, to save them time, and to help elevate or promote their business and any services they offer. 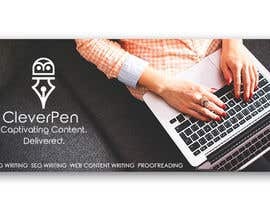 I do editing, blog writing, SEO writing, website content writing, proofreading, eCommerce descriptions and more. I have uploaded the image files for my logo to help you include this if you feel important. It is not 100% needed in the design as I can put this elsewhere if you dont include it on this image/banner. Please ask me any questions - as soon as I see the right design, I will award. I have a little question please ?